NASA The new Horizons probe mission once again gave the Boffins something exciting to think about. New data sent back to Earth meant they would have to redesign our understanding of 2014 MU69 (aka Ultima Thule). Previously, it could well be called Frosty a snowman, as the boffins speculated that the body was made up of two rough balls. With the latest data, estimates are based on what they thought they knew they had disappeared. It's more like Peter the Pancake. Or Sally Skipping-Stone. The team brought together 14 pictures taken 10 minutes after New Horizons were closest to the body. By combining the snapshots and viewing the stars covered with the Kuiper Belt (KBO) object as New Horizons, they managed to overcome the past, scientists were able to trace the outline of MU69 2014. The "Ultima", the larger of the two lobes, actually resembles one of the overflowing palaces, while the smaller lobe (nicknamed "Thule") looks like a disappointed deflated party balloon (or "decorated walnut", according to scientists). 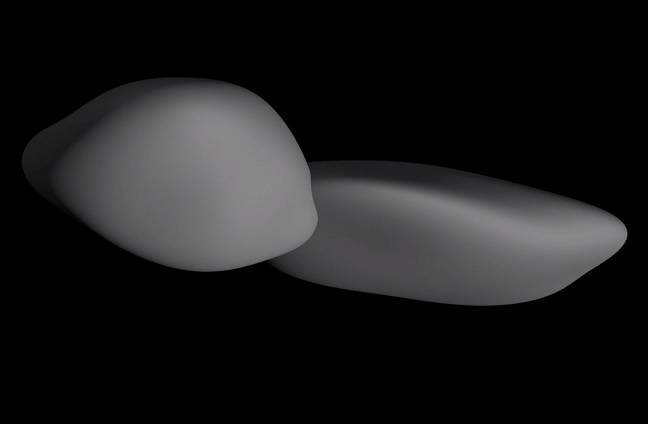 The discovery of MU69 is a much more sophisticated dimension of scarring scientists on how the shape of the thing fits into contemporary thinking about planetary formation. Hal Weaver, New Horizons project scientist from the Johns Hopkins Applied Physics Laboratory, said: "This undoubtedly motivates new theories of planetary formation in the early solar system." "We see the physical representation of the beginning of the planetary formation, frozen in time." New images, taken when New Horizons was nearly 9,000 km from Ultima Thule, will give the Moore a lot of chewing.